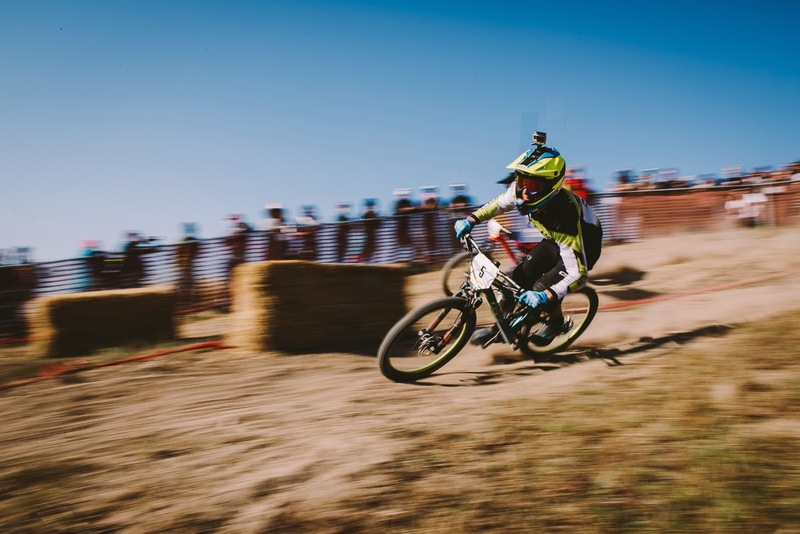 Martin Wins Sea Otter Classic Dual Slalom! This weekend saw an awesome win in a third MTB discipline for 18-year-old Martin Maes, cementing his growing reputation as an all-round riding talent in the image of his mentor and fellow team member Dan Atherton. This will be Martin's third year of riding with the team, in which time he has become Enduro World Series Overall Junior Champion 2013, taken the Junior victory at the Downhill World Cup (Fort William) 2014, and is now victorious at the iconic Sea Otter Dual Slalom against a stacked field of older and more experienced riders. The Dual Slalom took place on the Saturday in front of an excited crowd. The weather was scorching hot, track conditions dry, sandy and loose. The GT pits were crazy busy with Mark Maurissen getting Martin's Distortion built up with some brand new Fox parts just in time for practice. Times for the race this year were really fast, with plenty of thrills, spills and surprises seeing lots of the favourite riders relegated in the early rounds. Last year's winner Cody Kelley had to settle for 20th this year, Luca Shaw was riding brilliantly but lost out to Andrew Neethling and Kyle Strait had to settle for 12th after a first heat battle with his friend Cam Zink. The riders raced twice per heat once in the blue lane, once in the red with the winner by the biggest margin going through to the next round. Martin made short work of his first pairing, Iago Garay Tamayo and then Adrien Loron in Round 2, Bernat Guardia in Round 3...In the semi-finals Mitch Ropelato battled with Kerr to take the Finals spot and Martin took out Andrew Neethling who would finish 4th on the day overall. In the first race of the final heat, Martin started in the blue lane. It was a close-run race with Mitch Ropelato, and the riders were neck and neck as they came into the home straight but Mitch edged ahead to take the first race - just. For the final race of the last heat Martin was in the red lane; he turned on the power 110% to cross the line decisively in the lead and take the Dual Slalom crown! Jill Kintner took the Women's race. Martin said: "It's incredible, I am so stoked right now, I really couldn't ask for anything more, I had no expectations coming into this race. Last year I crashed out really early but this year it's turned out to be one of the greatest things in the last two years of riding with the team. I had so much fun today, there were so many people cheering us on, and in this whole Festival. Awesome! It was a real team effort, massive thanks to Mark for getting my Distortion ready on time!" In the Downhill, race times were super-tight, except for Aaron Gwin who led the field by nearly two and a half minutes! The American riders dominated with three Californians and Utah's Logan Binggeli on the podium. Canadian Josh Carlson grabbed third place. The day was hot, the course flat, sandy and mainly through open fields. It wasn't as technical as perhaps the team would have liked but a couple of jumps and a loud and enthusiastic crowd made it a fun event to ride. 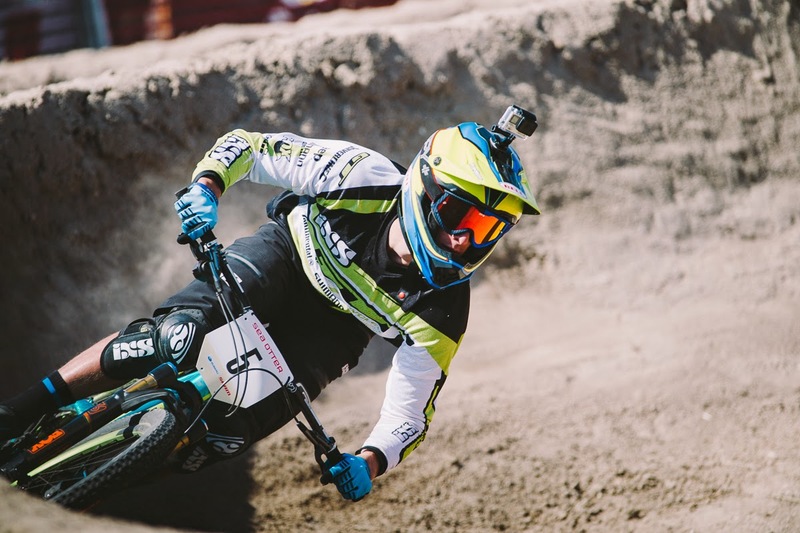 Dan said: "I had loads of fun riding Downhill at Sea Otter this year. I was happy enough with 9th here. 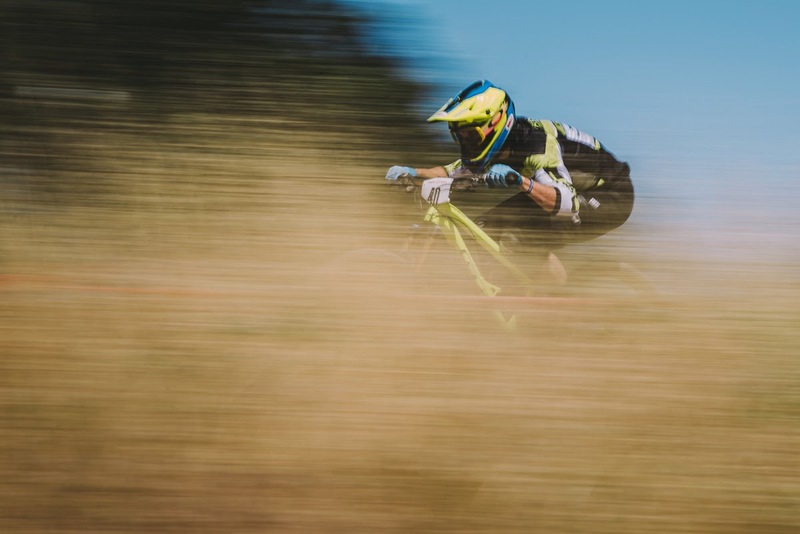 It was good to see the Enduro boys mixing it up with the Enduro riders and it was cool to ride with Mikey Day and Martin and to hang out with Hans Rey and the GT guys."